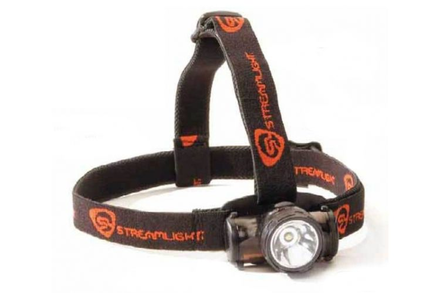 The Streamlight Enduro Headlamp Flashlight is one of the brightest, lightest, most compact headlamps for the price. 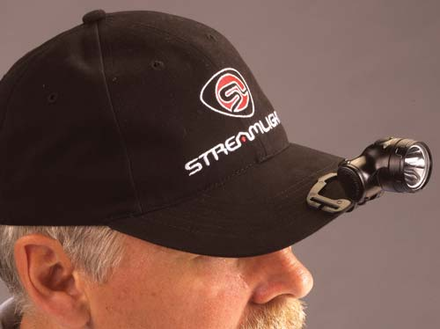 It is lightweight and water resistant, and includes adjustable head straps for the hands free lighting of any task. It has two lighting modes: low beam LEDs with 24 hours of run time and high beam with 6 hours of run time. Its solid state power regulator provides maximum light output throughout battery life of its two AAA batteries. The Streamlight Enduro Headlamp uses one High-Flux LED, with a 100,000 hour life, that produces Up to 14.5 lumens typical and up to 850 peak beam candlepower (high mode); 6 lumens typical (low mode). The Streamlight Enduro HeadLamp offers an impact resistant ABS case, polycarbonate lens, and body. It is drop tested tough, waterproof to one meter for one hour, and has O-Ring sealed construction. Its facecap diameter is 1 1/4-inches, maximum headlight width is 2 1/4-inches, and the maximum headlight depth is 1 1/2-inches including head strap and mounting strap. It weighs 2.75 ounces with batteries and head strap. The package includes rubber/elastic combo head strap, and it comes with a limited lifetime warranty.